Electronic reproduction of the postcard: Suuk-Su Resort. At the sea shore [Izomaterial]. Yalta: the publication of Dimitri Nikolić, [1911?]. 1 card: chromolithography. 117162. Location: Children's Museum of Greeting Cards, St. Petersburg. Copying by users is not allowed . I. Presidential Library. B. N. Yeltsin (St. Petersburg) .1. Postcards in the Presidential Library fund (collection). 2. Territory (collection). 3. Gurzuf, an urban-type settlement (Crimea) - Postcards. 4. 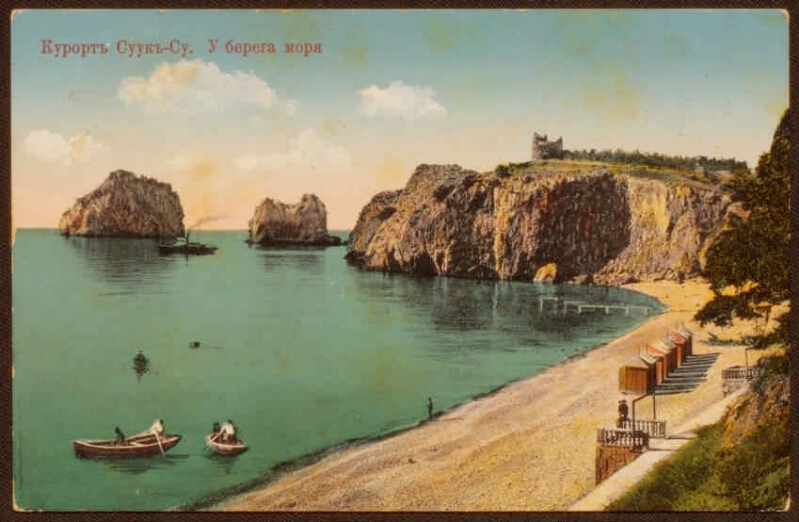 The Black Sea coast - Postcards. 5. 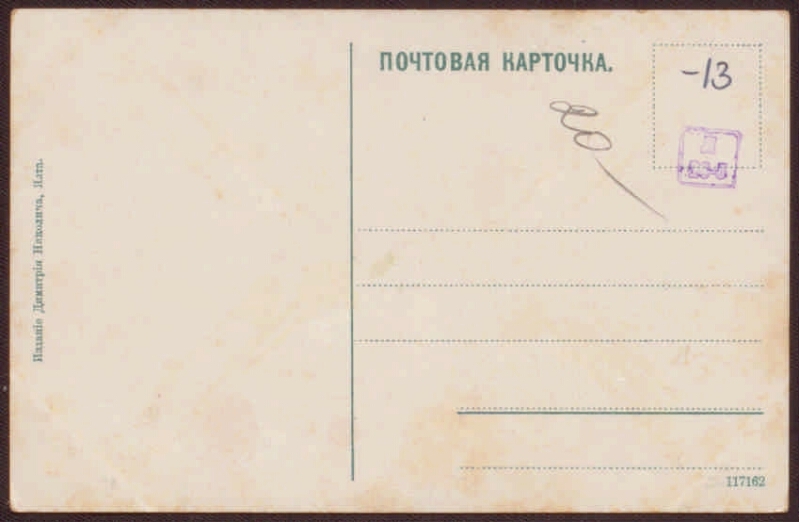 Documentary cards - Russia - 1909-1917.